HAMILTON is the story of America’s Founding Father Alexander Hamilton, an immigrant from the West Indies who became George Washington’s right-hand man during the Revolutionary War and helped shape the very foundations of the America we know today. The score blends hip-hop, jazz, blues, rap, R&B and Broadway – the story of America then, as told by America now. HAMILTON will re-open the Victoria Palace Theatre following an extensive multi-million pound renovation and expansion to the listed building. 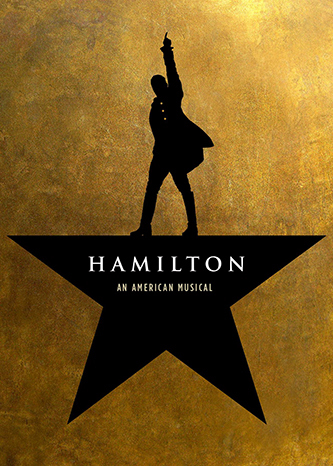 Winner of 11 Tony Awards including Best Musical, the 2016 Pulitzer Prize for Drama and the 2016 Grammy Award for Best Musical Theater Album, HAMILTON has smashed box office records on Broadway where it continues its run at The Richard Rodgers Theatre with the largest advance ever recorded in theatre history. A second US production is also playing to capacity at the PrivateBank Theatre in Chicago and a third US production will open in March at the Orpheum Theatre in San Francisco.